Maybe you’ve taken Hunter Safety or Bow Hunter, and are now looking for the next step in becoming a successful and safe hunter. Maybe you’re looking for a chance to go on an actual hunt, and learn from experienced guides and instructors. Here’s your chance! Our Apprentice Hunter program is designed to provide in-depth, hands-on training and a chance to learn hunting skills and tactics for whitetail deer, turkey, upland birds, and other game. Each day will be spent honing shooting skills, and learning specifics about various game and hunting opportunities available. 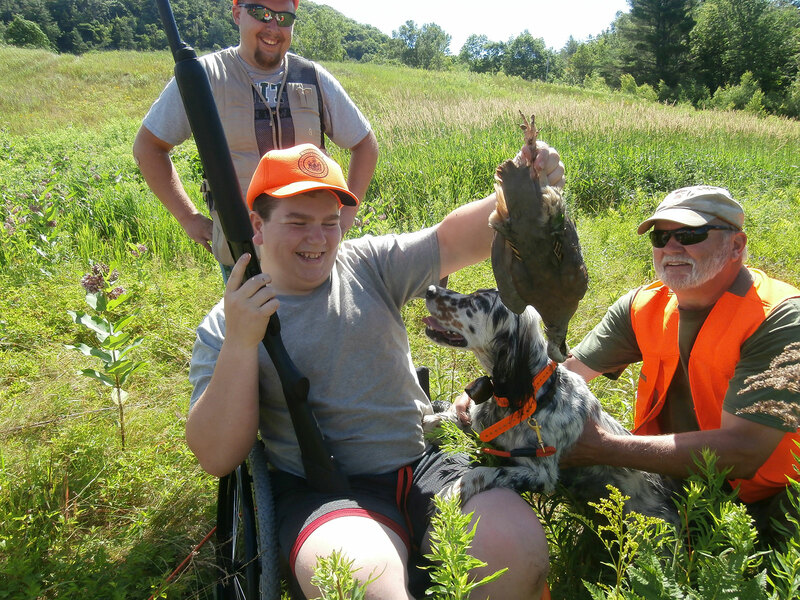 With safety as the focus, you’ll learn from Maine Guides and instructors, and will have the chance to go on an actual game bird hunt during the week. We’ll cover everything from field dressing to cooking your harvest. Other activities will include swimming, canoeing and kayaking, ropes course, hiking, and many other camp offerings. 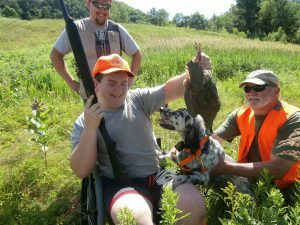 Hunter Apprentice is led by certified 4H Shooting Sports instructors. Successful completion of a prior hunter safety course is recommended. Because The University of Maine defines firearms and archery equipment as weapons, and has a strict weapons policy for the safety of all, and for liability and insurance reasons, camp program participants are asked not to bring their personal shooting sports equipment to Bryant Pond 4-H Camp & Learning Center without prior authorization from the Camp Director or the Maine 4-H Shooting Sports Program Coordinator. The 4-H Shooting Sports instruction team at Bryant Pond is very familiar with the wide variety of equipment here, and competently provide complete instruction in the shooting sports discipline programs that we offer.